For those of you who don’t know it, I make my living fixing old keyboard instruments. 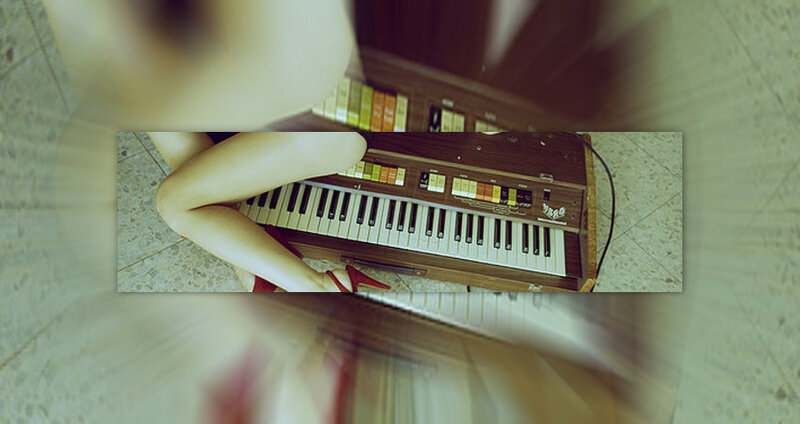 Rhodes, Wurlitzer, Hammond B3, that sort of thing. I basically rip them apart and reconstruct them from the bits and pieces – it’s a bit like those “Hot Rod” shows you might have seen, where they take an old rust bucket and restore it to being like new again. Save some original stuff, toss other stuff and replace it with new stuff. Well, every now and then I get something interesting, the past two days were spent on one of them, and I thought I’d share. The patient in question was a new one for me, a combo organ made by Doric in Italy. 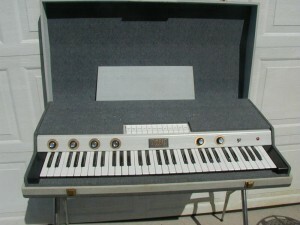 Combo organs were big in the 60’s and 70’s – they make a unique sound (often called cheesy) – and were basically small cheap portable electronic organs in the days before Synthesizers and Samplers. These were in many of the bands of the time, probably one of the most recognizable names would be The Doors, though that was a Gibson combo organ. Other more well known names would be Vox and Farfisa and I seen a ton of them over the years. This one however was a Doric. It arrived completely inoperable and with a few “improvements” 😕 thrown in. A lesser known instrument, dead as…. dead, no technical information and only a theoretical idea of how it even works (Did I mention I do this for a living?) PERFECT. I dove in with usual zeal – casting off the unworthy (the aforementioned “improvements”) and jettisoning the potentially LETHAL (someone had hacked in a replacement power cord that could have easily gotten a musician or unwary child killed) I brought it back to life. A quick tuning and a few adjustments and it’s back to it’s old self, with the exception of an IEC power cord (like a PC has) – it hadn’t been physically abuse so it looks pretty much like the picture and sounds…. well…. cheesy. Excellent job. I’m digging through the innards of one of these right now and wondered if you might remember enough to give me some pointers? I’ll certainly answer any questions I can. Be ready to send photos as I might need my memory jogged. You can contact me via my contact page here.